On May 4 the Trump administration demanded that the Chinese government implement measures to cut its $200 trade surplus with the United States, lower import tariffs and reduce advanced technology subsidies. A US delegation headed by Treasury Secretary Steven Mnuchin arrived in Beijing on May 3 to hold trade talks with Chinese Vice Premier Liu He. Chinese media published a document allegedly submitted by the US delegation to the Chinese side during the negotiations. "At present, the United States-China trade relationship is significantly imbalanced," the paper states. "United States investment and the sale of services into China remain severely constrained. China's industrial policies now targeting U.S. technologies and intellectual property pose significant economic and security concerns to the United States. There is an immediate need for the United States and China to reduce the U.S. trade deficit with China by ensuring that China's market is open to United States traders and investors on a fair and non-discriminatory basis." The paper states that China needs to "eliminate improper tariff and non-tariff barriers", to address "policies and practices related to technology transfer and intellectual property", to "treat United States service providers in China on terms equal to those provided to Chinese service providers the United States," and to agree not to "target United States farmers and agricultural products." The US delegation allegedly demanded the reduction of the trade deficit by at least $200 billion by the end of 2020. 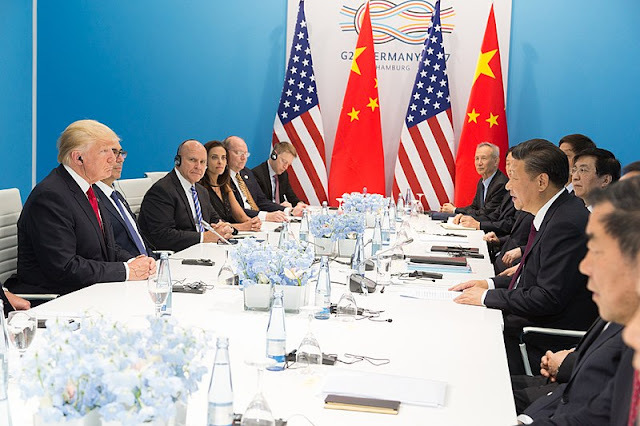 Section 7 of the document, which deals with the implementation of the US demands, states that China and the United States "will meet quarterly to review progress in meeting agreed targets and reforms." "In the event that the United States considers that China fails to comply with any of China's commitments in this Framework, including deficit targets, China acknowledges the likelihood that the United States will impose additional tariffs or other import restrictions on Chinese products," the paper warns. Chinese state media outlets have lambasted the Trump administration's demands, comparing them to the "unequal treaties" forced upon China by Western colonial powers and Japan in the 19th century. They accused Washington of treating China "as if we lived in 1840," a reference to the rhetoric of national humiliation frequently invoked by Beijing. The Chinese government has often been criticized for pursuing unfair trade practices providing Chinese companies with protection and advantages in the domestic market, while subsidies help exports of Chinese products abroad.